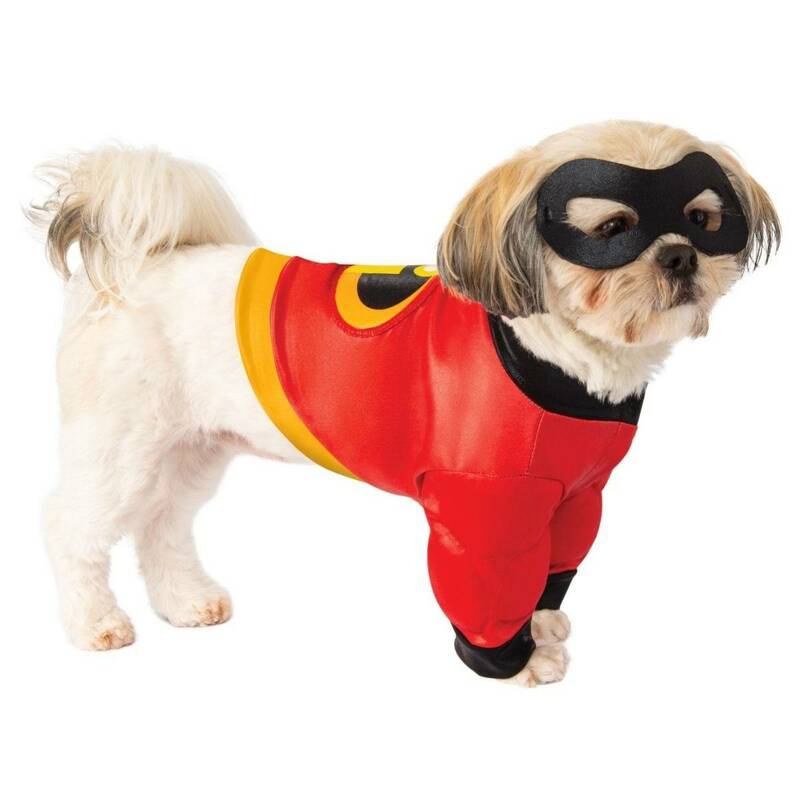 Your pet can don a new super suit with the officially licensed Incredibles Pet Costume from Rubie's! Your pet can don a new super suit with the officially licensed Incredibles Pet Costume from Rubie's! This outfit features a padded shirt with a high-cut belly and Velcro closures and a mask to hide your Super's secret identity. Contains a padded shirt and a mask.